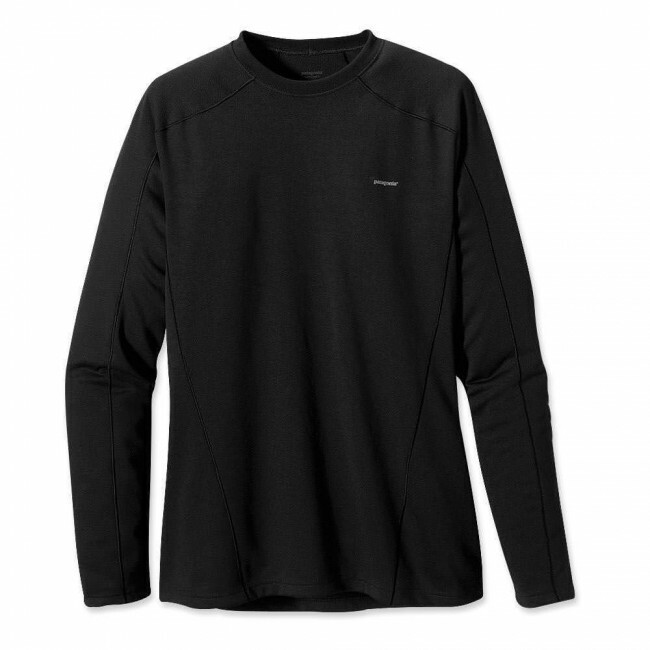 Our most versatile synthetic baselayer keeps you dry and warm in cool to cold conditions. The only time you’ll want to take off this crew is when you slip into Buckeye Hot Springs for a soak. The most versatile and fastest-wicking of our Capilene weights, soft and compressible Capilene® 3 Midweight performance baselayers stretch, dry quickly, resist wear, and provide excellent insulation and next-to-skin comfort. Brushed on the inside for warmth, with a jersey exterior that glides under layers, this crew also features a rib-knit collar, raglan sleeves with underarm panels for unlimited mobility, and a tuckable hem. Made of 5.4-oz Polartec® Power Dry® polyester double knit, with Gladiodor® odor control for the garment. I purchased a zip-neck and a crew neck. It doesn't matter if I wear them as individual pieces or as undergarments, I can't stop wearing them! They're warm, but not too hot. Thicker than a t-shirt, but not itchy and they're tough too. They haven't faded in the multiple washes I've put them through. You won't be sorry.